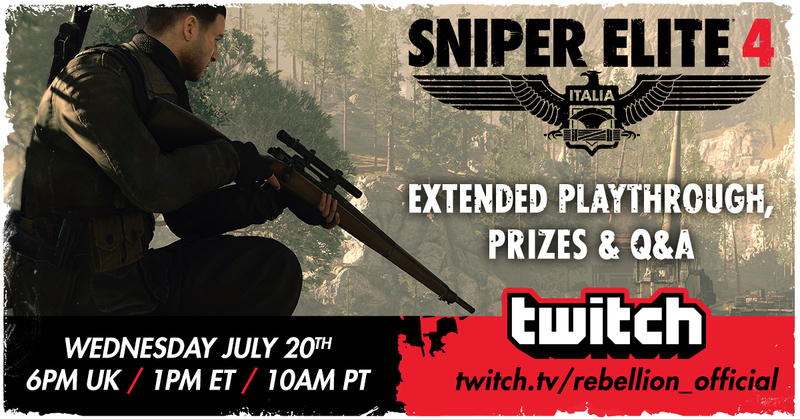 Join us for an extended hour of Sniper Elite 4 gameplay, an exclusive Q&A, and some awesome prizes! Watch as some of the game’s developers take on the Viaduct level, shown at E3, and talk through the map, all the while delivering skull-crushing executions and silent takedowns (hopefully). 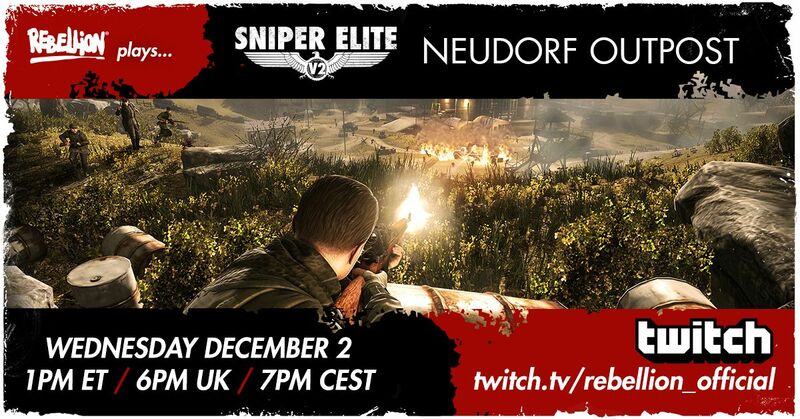 Sniper Elite 4 first developer Livestream! 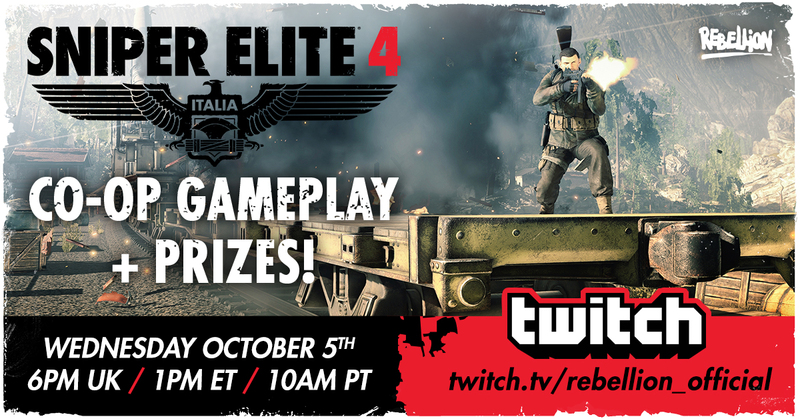 *ACHTUNG* Tune-in to Twitch this Wednesday for an extended hour of Sniper Elite 4 gameplay, an exclusive Q&A, and some awesome prizes! Watch as some of the game’s developers take on the Viaduct level, shown at E3, and talk through the map, all the while delivering skull-crushing executions and silent takedowns. Hey all, just to make it easier for you we have compiled some articles and videos that were created during our crazy time at E3. 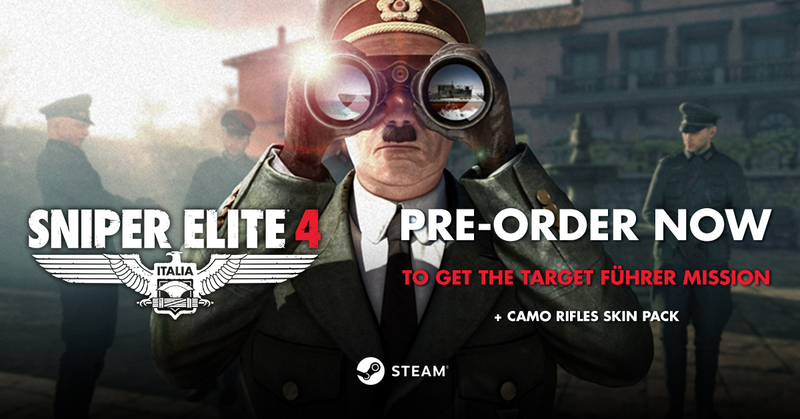 Dear Sniper Elite fans past, present and future! Today we’re announcing that Sniper Elite 4 is launching February 14th, 2017. When we originally revealed the game back in March, our plan was to release this year, and this was only reinforced when our pre-Alpha build was received incredibly well by those who got to see it at GDC in San Francisco. 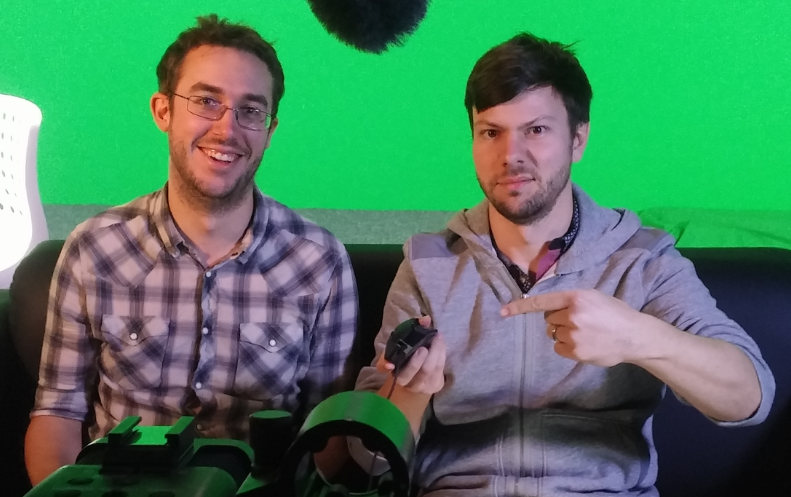 Was it nerve-wracking showing the game for the first time, and quite a lot earlier in production than we normally do? Absolutely, but in the end we felt confident the game was where we wanted it to be. I’d go as far as saying the demo had some of the best preview feedback we’ve ever had. So when we sat down recently to decide a launch date, we had a decision to make. Do we stick to 2016 as planned many moons ago, or do we give the team just a little more time to help them deliver beyond the promise that the game has already shown, to hone the game’s best features, or even add new ones that previously might have been left on the cutting-room floor? 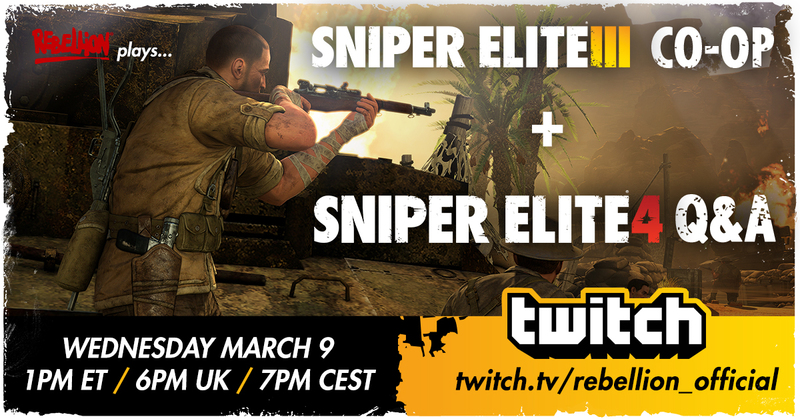 It wasn’t an easy decision but for us it seems like a win-win for both Rebellion and Sniper Elite fans. This is why we’re proud to be completely independent. Being independent means you can make changes when things are going really well, rather than just reacting when things don’t go to plan. 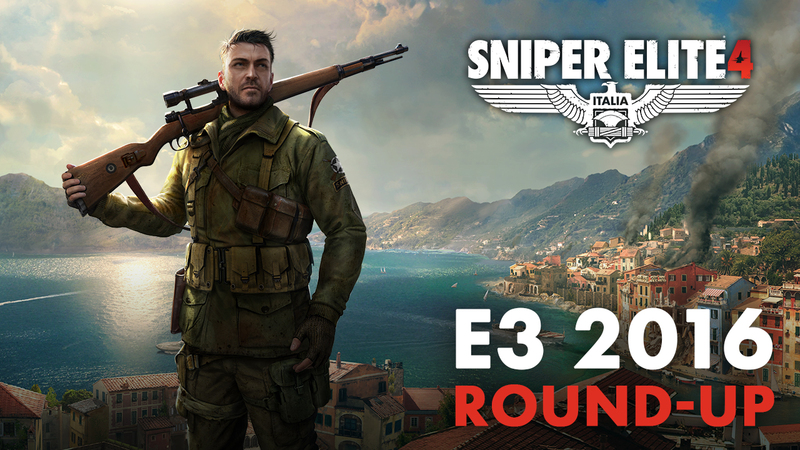 We know a lot of you will be disappointed that you won’t get to play Sniper Elite 4 this year, but we hope you understand our decision and enjoy all the new footage and details from our beautiful “Viaduct” level this week. We’re also heading to some public shows in the UK and Europe in the near future, so look out for us there and make sure to say hello! Thank you as ever, for supporting independent UK games development. 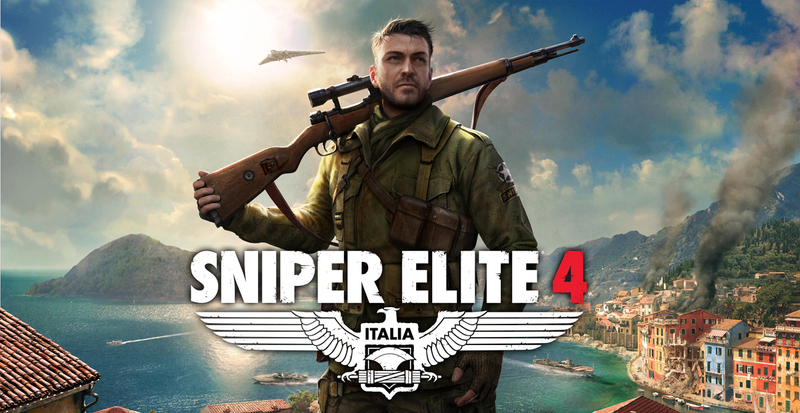 You've seen the teaser, and now you're brimming with questions about Sniper Elite 4. Don't worry, we've got you covered! Yes, our first ever Sniper Elite 4 Q&A is coming later today! 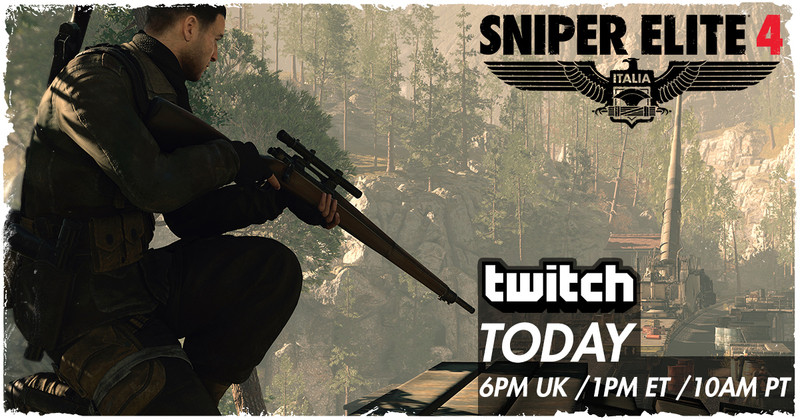 Tune in on Twitch and ask your questions in chat while we livestream some Sniper Elite 3 co-op. Head over to https://www.twitch.tv/rebellion_official @ 1PM ET / 6PM UK / 7PM CEST and we'll aim to answer as many of your questions as we can. See you there! 30 minutes from this post! We’re delighted to announce the next game in the 10 million selling Sniper Elite series is launching this year for PlayStation 4, Xbox One and PC. 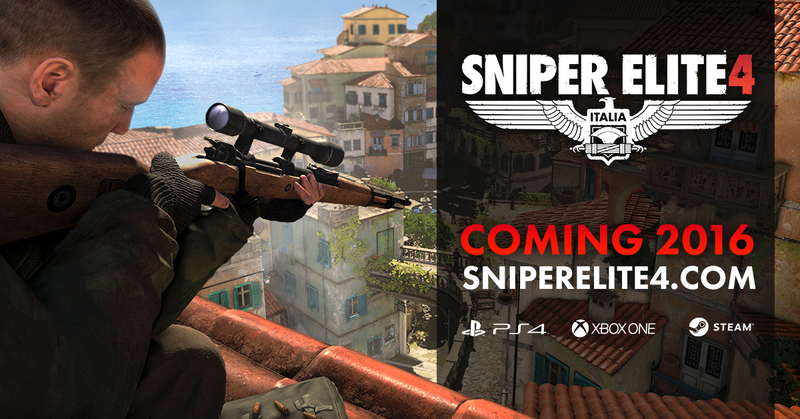 Sniper Elite 4 launches this year! We go live 15 minutess from this post.